The Lifeguard Instructor/Instructor Trainer Review course is the required course for all Lifeguard Instructors and Instructor Trainers to re-certify in the r.17 American Red Cross course. Lifeguarding Instructors: Teach or co-teach at least one Lifeguarding or Shallow Water Lifeguarding course of record during the 2-year certification period. Lifeguarding Instructor Trainers, LGITs: Teach at least one Lifeguarding Instructor course of record or at least two Lifeguarding Instructor/Instructor Trainer Review courses of record during the 2-year certification period. If your Lifeguard Instructor certification has expired by more than 30 days, you may eligible for a LGI Re-entry. Upon successful completion of the review course, the Lifeguard Instructor or Lifeguard Instructor Trainer certification will be renewed for 2 years. Instructors who wish to achieve a basic-level lifeguarding certification to work as a Lifeguard will have the option to “test out” at the conclusion of the Lifeguarding Instructor Review course. Instructors/ITs who choose to attend the “test out” session and successfully complete all basic-level course requirements will earn an American Red Cross Lifeguarding/First Aid/CPR/AED certification, valid for 2 years. If you do not receive an email visit redcross.org/getcertificate and enter your email address. Q. 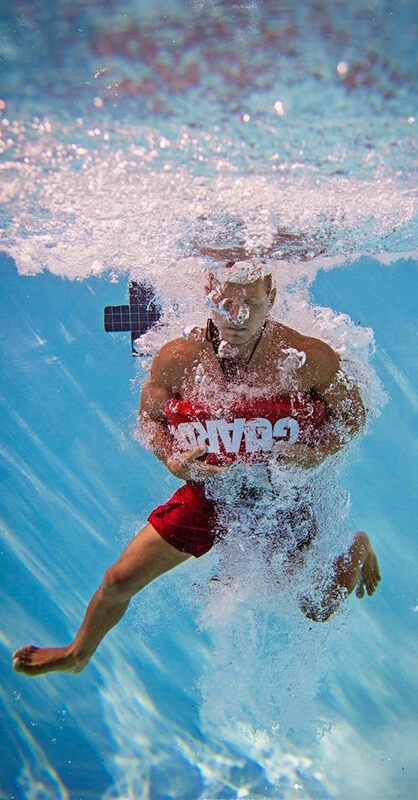 How can Lifeguarding Instructors maintain their instructor certification? ▪ Teach or co-teach at least one Lifeguarding or Shallow Water Lifeguarding courses of record during the 2-year certification period. ▪ Successfully complete an in-person Lifeguarding Instructor/Instructor Trainer Review course prior to instructor certification expiration date. Q. How can Lifeguarding Instructor Trainers maintain their instructor trainer certification? ▪ Teach at least one Lifeguarding Instructor courses of record or teach at least two Lifeguarding Instructor/Instructor Trainer Review courses. Q. Are Lifeguarding Instructors or Instructor Trainers required to maintain a basic-level certification? A. No, Lifeguarding Instructor’s and Instructor Trainers are not required to maintain a basic-level Lifeguarding/First Aid/CPR/AED certification to maintain their Instructor and/or Instructor Trainer certification, however, Instructors/ITs who wish to work or volunteer as a Lifeguard must maintain a basic-level Lifeguarding/First Aid/CPR/AED certification. The Lifeguarding Instructor/IT certifications are not equivalent to a basic-level certification. Individuals without a basic-level certification are not recognized as certified lifeguards. Q. How long is the Lifeguarding Instructor/Instructor Trainer Review course? A. The Lifeguarding Instructor/Instructor Trainer Review course is approximately 7 hours and 30 minutes, not including the optional basic-level test out session for Instructors/ITs who wish to gain a basic-level certification. Q. What content/skills are covered in the Lifeguarding Instructor/Instructor Trainer Review course? Q. Are Instructors/Instructor Trainers required to successfully complete the passive, submerged victim scenario in 1 minute, 30 seconds as a part of the Instructor/Instructor Trainer Review Course? A. No. Instructors and Instructor Trainers will participate in all course activities including the lifeguard recognition and response drills but are not required to successfully complete the scenario in 1 minute, 30 seconds. Instructors/ITs wishing to earn a basic-level LG certification must complete all timed final skills scenarios. Q. What happens if an instructor or instructor trainer fails the Lifeguarding Instructor/Instructor Trainer Review course or is unable to successfully complete the Lifeguarding Instructor/Instructor Trainer Review course prior to their certification expiration date? A. Lifeguarding instructors and instructor trainers who do not successfully complete the Lifeguarding Instructor/Instructor Trainer are permitted to re-take the Lifeguarding Instructor/Instructor Trainer Review course as many times as needed until their instructor or instructor trainer certification expires. If an instructor or instructor trainer is unable to successfully complete the Lifeguarding Instructor/Instructor Trainer Review course before their certification expires, their instructor/instructor trainer certification will expire. Lifeguarding Instructors with an expired certification may participate in a Lifeguarding Instructor Crossover/Re-Entry Bridge OR a Lifeguarding Instructor course to gain a new lifeguarding instructor certification. There is no Crossover/Re-Entry Bridge option for lifeguarding instructor trainers. Q. Are Instructors/Instructor Trainers required to complete the Lifeguarding pre-course session during the Lifeguarding Instructor/Instructor Trainer Review course? A. Lifeguarding Instructors/Instructor Trainers are not required to complete the pre-course session, unless they chose to attend the optional test out session to earn a basic-level certification. Q. How can a Lifeguarding Instructor/Instructor Trainer earn a basic-level certification/what is included in the optional test out session after the Lifeguarding Instructor/Instructor Trainer Review course? o Timed passive, submerged victim rescue with extrication, primary assessment followed by 3-minutes of one-rescuer CPR. Q. Who can take the basic-level test out at the conclusion of the Lifeguarding Instructor/Instructor Trainer Review course? A. Current Lifeguarding Instructors and/or Instructor Trainers in good standing may take the basic-level test out at the conclusion of the Lifeguarding Instructor/Instructor Trainer Review course. Participants are not required to have a current basic-level certification. Q. Can a Lifeguarding Instructor who is not an Instructor Trainer teach/conduct the Lifeguarding Instructor/Instructor Trainer Review course and/or the basic-level test out? A. No. Only Lifeguarding Instructor Trainers or Waterfront Lifeguarding Instructor Trainers may teach the Lifeguarding Instructor/Instructor Trainer Review course and/or conduct the optional basic-level test out. Q. Can new Lifeguarding instructors or those who have not completed the Lifeguarding Instructor/Instructor Trainer Review course participate in the basic-level test out? A. No. The basic-level test out is not available as a stand-alone course. Instructor trainers may only conduct a basic-level test out immediately following a Lifeguarding Instructor/Instructor Trainer Review course. Class Transfers – The class transfer fee is $75 and registered participants are required to submit a Transfer Request online at least 48 hours prior to the original class date. Training must be completed within 60 days of the original class date. Cancelled Classes – Safe Swim reserves the right to cancel classes as needed. In the event a class is canceled registered participants will be offered a transfer to a different class free of charge or a full refund of the training fees.